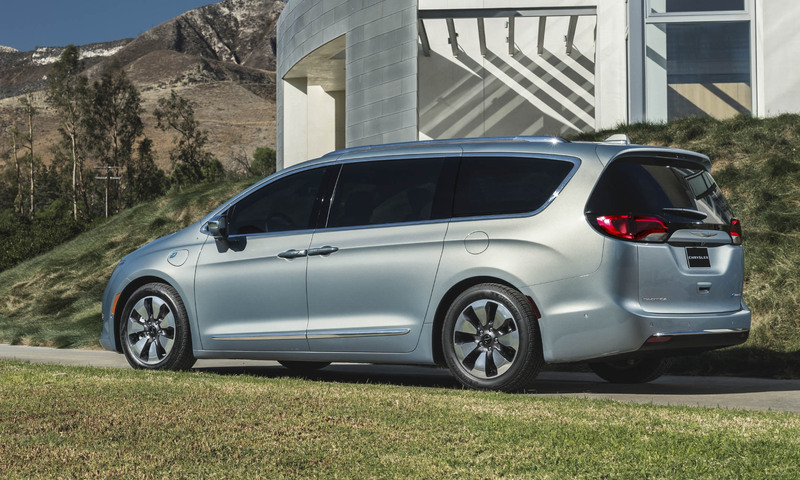 Chrysler invented the modern American minivan more than 30 years ago, and after selling an impressive 14 million of them over the last three decades the company has come to market with an all-new model called Pacifica. 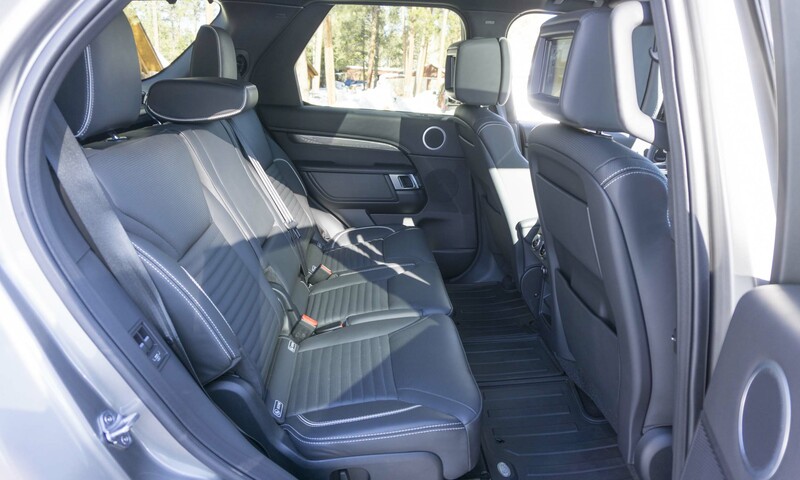 With fresh styling and plenty of new, innovative features, the Pacifica is arguably the best minivan the company has offered since the first Dodge Caravan went on sale in 1983. And now the automaker adds another level of innovation with the upcoming Pacifica Hybrid. 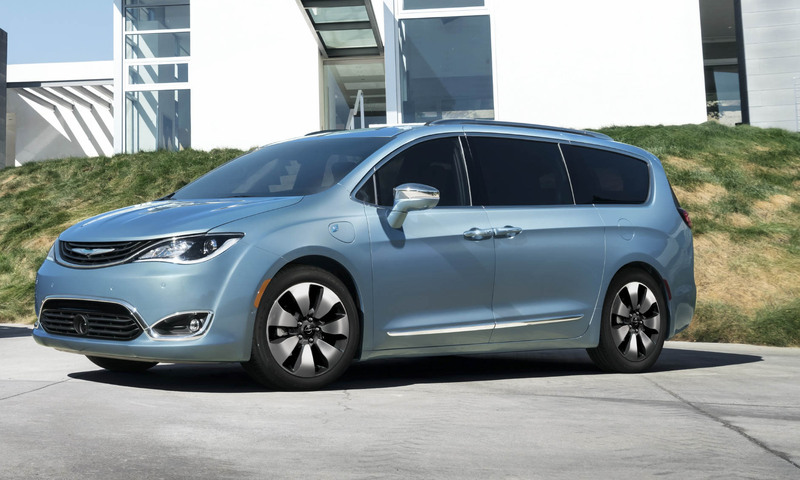 When the Pacifica Hybrid goes on sale later this year it will be the first hybrid minivan in America. 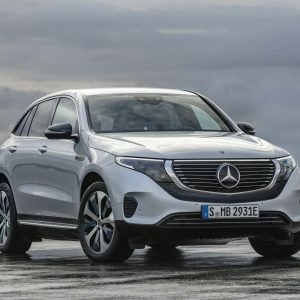 Quite frankly we anticipated that Toyota — given its years of experience with the Prius family of hybrid technologies — would have accomplished this feat first, but Chrysler leads the way once again. Visually the Hybrid is practically the same as the non-hybrid; however, there are a few telltale indicators — the Hybrid sports a unique grille encircling a blue Chrysler logo. 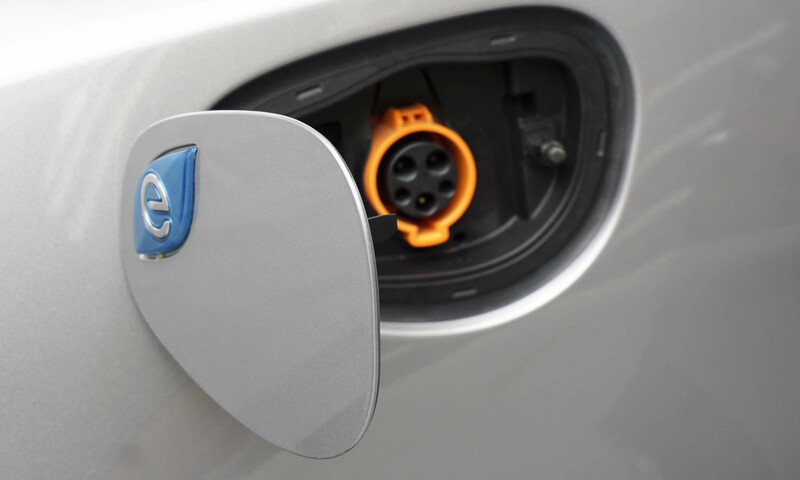 The access door for Pacifica’s charge port sits in front of the driver’s door, identified by a lowercase letter “e” on a blue leaf. The teal blue color and the lowercase letter are found throughout Pacifica. 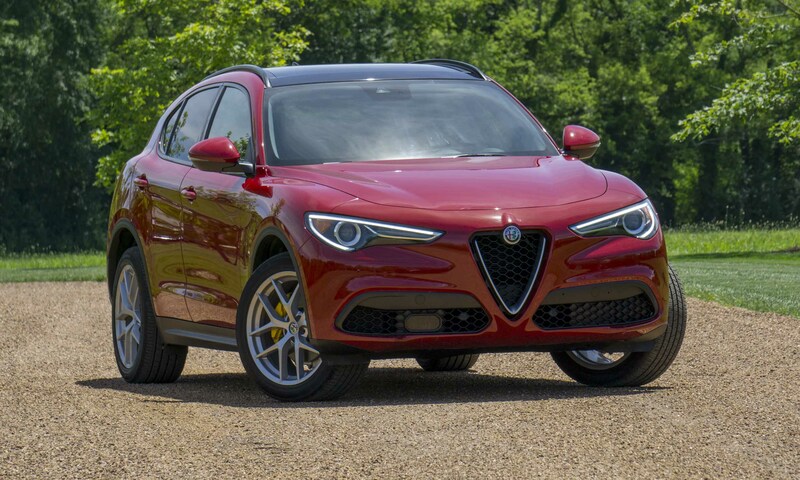 This may be Chrysler’s new style for badging hybrids, and it may be safe to assume that other models will follow. A hybrid badge also adorns Pacifica’s rear gate. 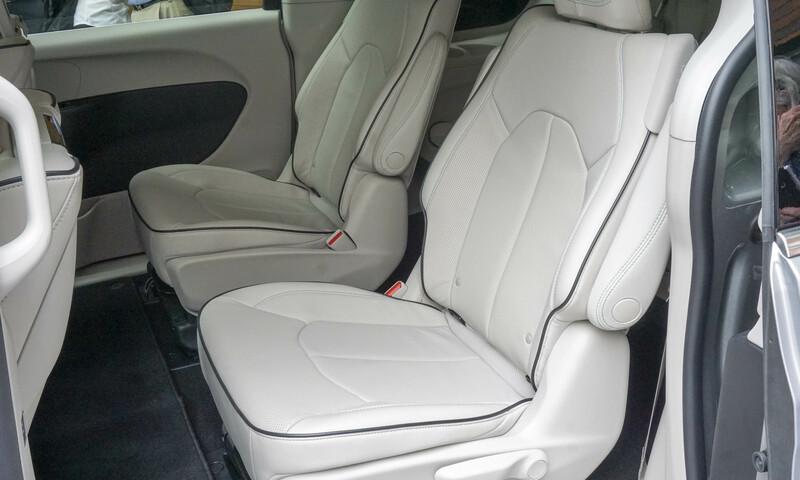 Inside, the Pacifica Hybrid is practically identical to the non-hybrid model except for blue stitching, some energy display screens and telltale gauges. 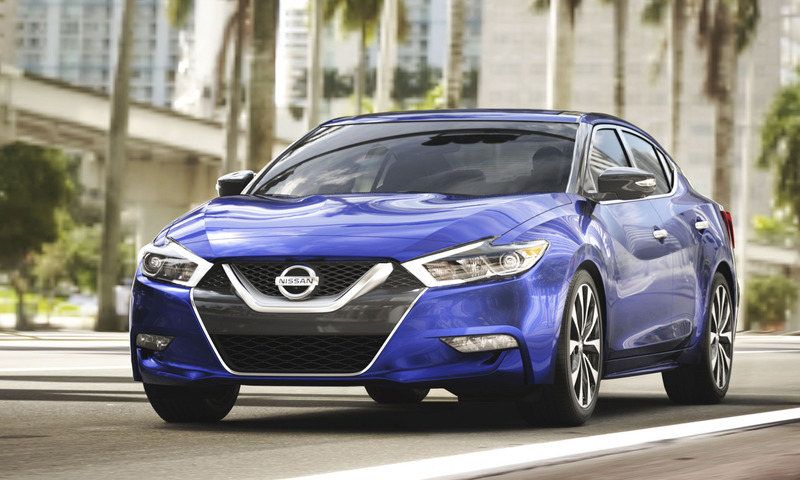 Batteries get stored below the second-row seats, which helps lower the vehicle’s center of gravity. However, this battery placement means the Hybrid has no Stow n’ Go seats in the second row. The third row still folds flat into the floor, and seats in the second row can be removed if necessary. 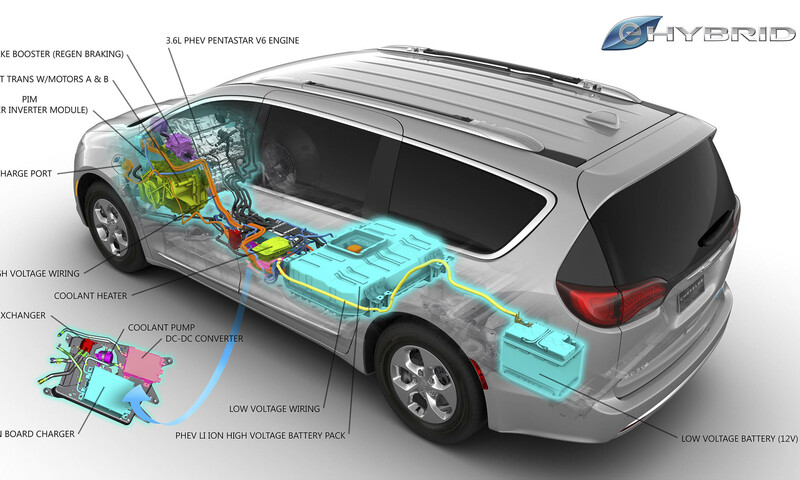 The Pacifica Hybrid employs a modified Pentastar V6 engine and an innovative electrically-variable transmission. 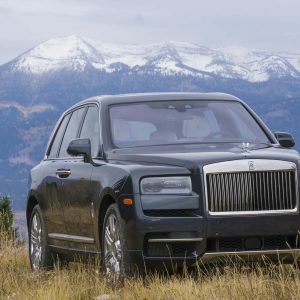 Rather than a typical hybrid’s single electric motor configuration, this unique system features two electric motors, and both can be used to drive the vehicle’s wheels. 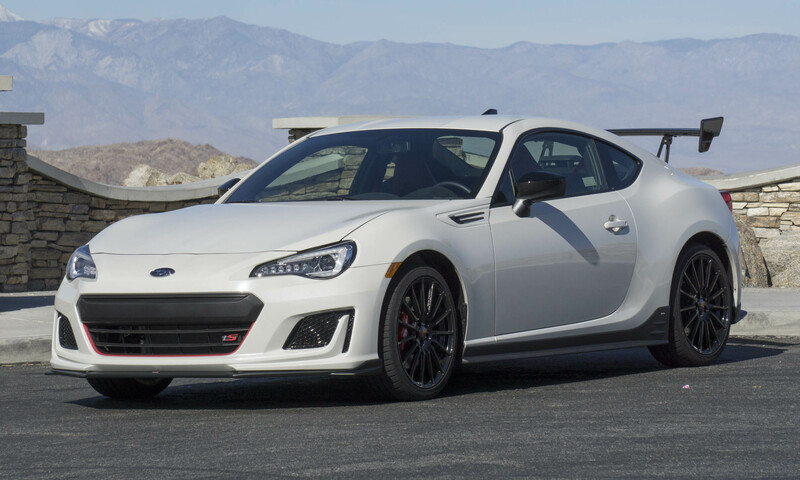 One of the motors also acts as a generator, using a one-way clutch that allows torque delivery to the wheels depending on driving conditions. 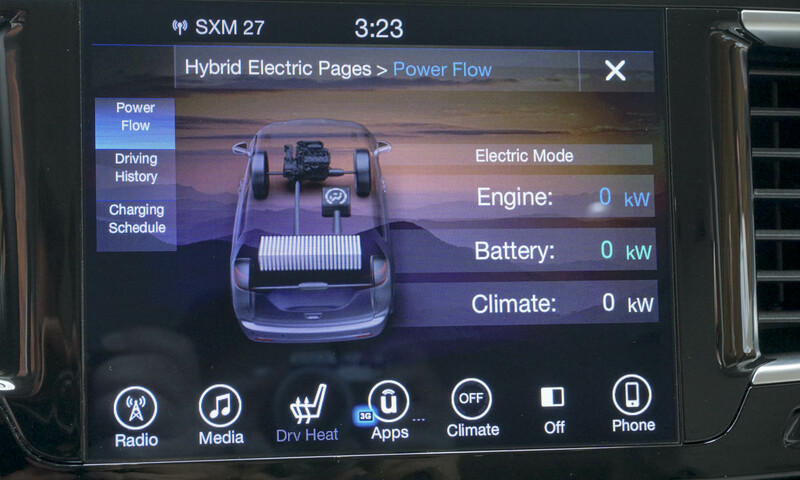 The Pacifica Hybrid should have a range of about 30 miles when running in electric-only mode. 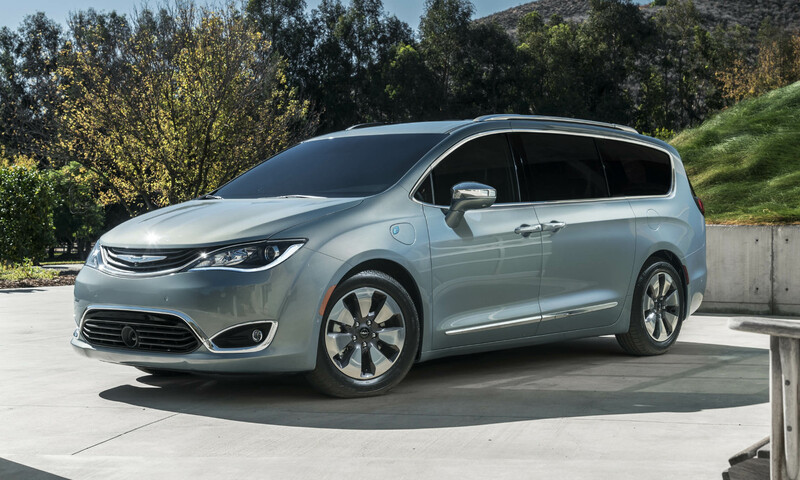 Chrysler says the minivan can cruise at speeds up to 75 mph without the gas engine contributing to that momentum. 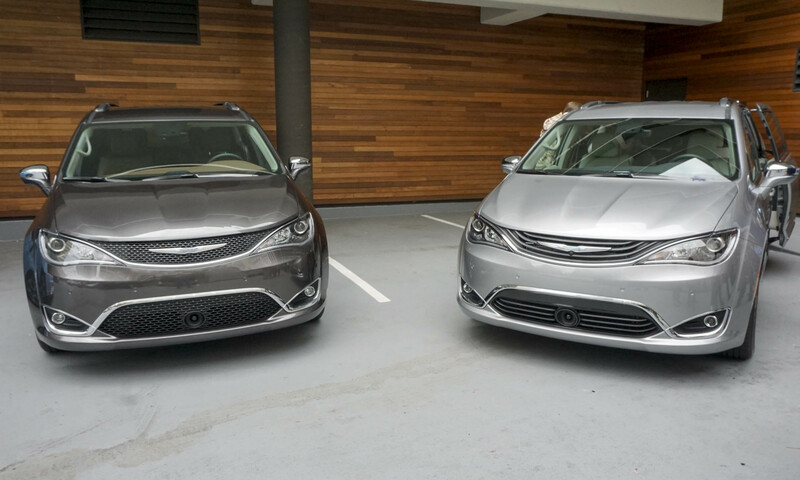 Chrysler expects a city driving rating of about 80 MPGe. 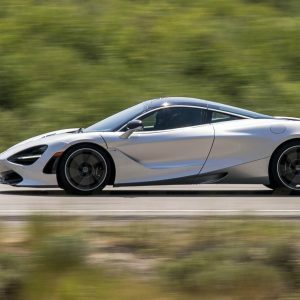 Braking energy gets recovered to further the electric-only range. With a 240-volt fast-charge system, the Pacifica Hybrid can reach a full charge in as little as two hours. 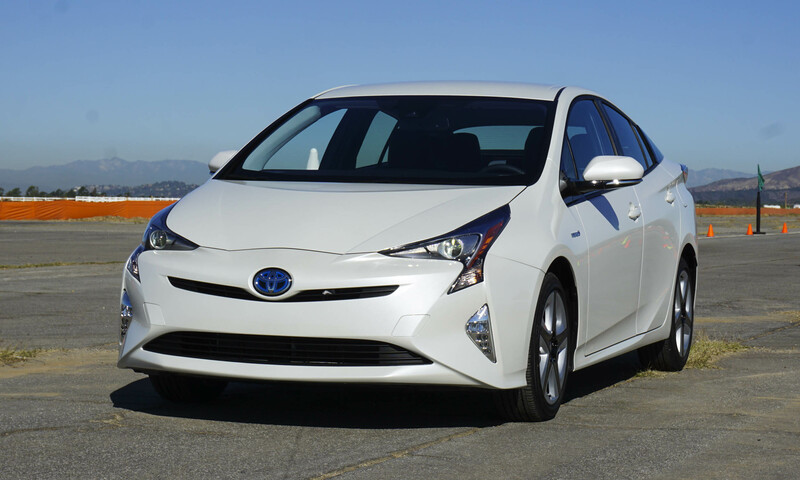 When plugged into a standard 110-volt wall outlet, the Hybrid will achieve a full charge in about 14 hours. 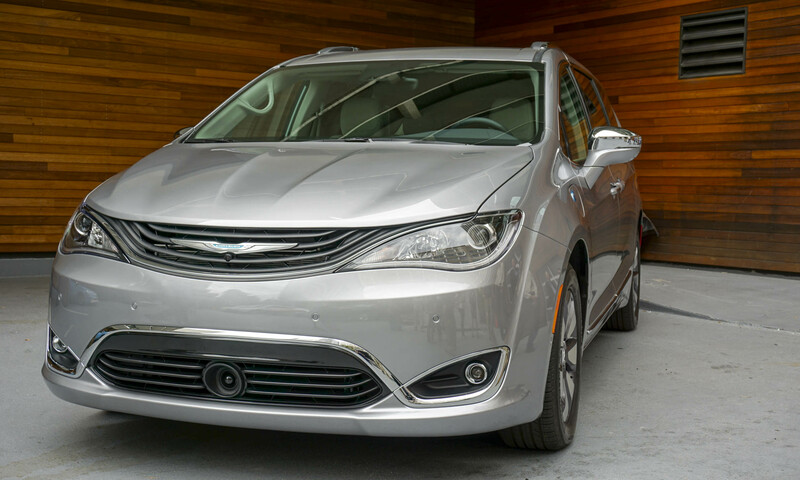 Chrysler has not released pricing for the new Pacifica Hybrid, although we anticipate it to be in line with the top-level trims of the gas-only version, which are priced between $35,000 and $40,000. We will report more details on the Pacifica Hybrid — including a full driving review — closer to the on-sale date, which will be in the fourth quarter of 2016.